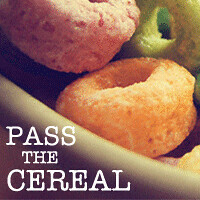 Pass the Cereal: awesome giveaway! So in gearing up for Christmas, I had this great idea for a special print for this friend of mine who has a bit of a travel bug in her. I wanted something to remind her and her family "wherever we are together, that is home" and while I had no idea of the visual that might "go" with it, I really wanted it to be both beautiful and fun! Around the same time, I was introduced (well you know...not in person, through a blog of course) to a super cool chick named Jessica. You can read all about Jessica on her fabulous blog as well as find links to her amazing shops, free downloads, her photography...seriously this girl does it all! 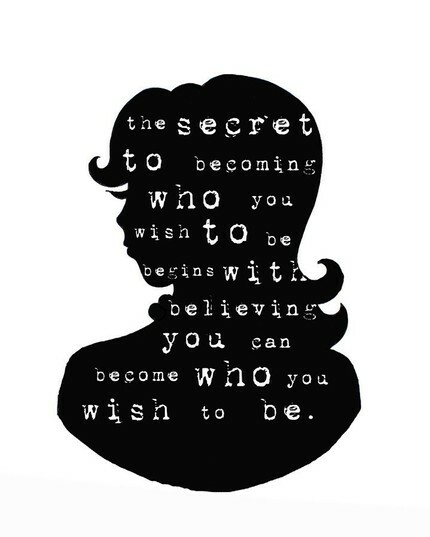 So long story short...I contacted Jessica about it and she liked the idea so much she made this gorgeous print!!! So amazing and perfect (you can read her post about it here too)...don't you just love it? I think the detail is so incredible and I love the grey and yellow too! So when I went to purchase the print from Jessica's etsy shop, I knew I wanted to get a print of my own too. I mean seriously? The prints are so great and I love all the sayings & quotes too (although coffee spoons should really be Diet Coke cans for me right?). So which did I pick? So what do you have to do to win? Well, Jessica has this button on her blog and I have to agree! I see all you lurkers out there...now is your chance to take a second, make a comment, say hi and I will pick one lucky commenter as the winner (tweet the giveaway, and comment that you did, for an additional entry)! Winner will be announced on Saturday, January 9th. Those are really cool prints, I love them (seriously!) 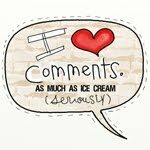 and I think I need to incorporate the one about loving comments as much as ice cream!!! 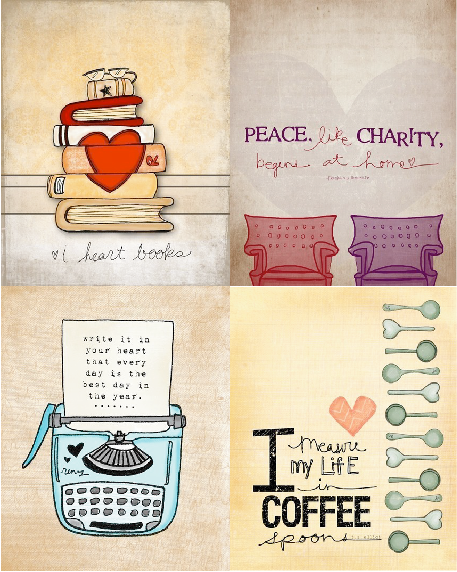 I really need to become an etsy junkie too, you find such cool stuff! Those prints are too cute. That was so kind of you to do that for your friend (who takes amazing photos of your children). Are hubby's eligible? I need to get you a bday present soon. This print would be perfect. Ooooh it's beautiful! Her work is fantastic! What a wonderful gift, and a great idea for a giveaway! Awesome blog, Heather. Hope I win. Well, here's further proof we share a brain!! 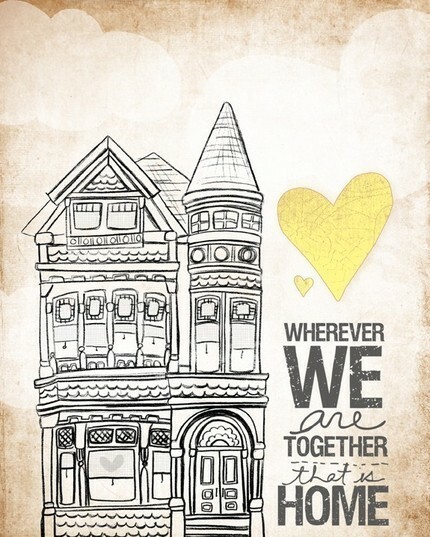 I found Jessica's art on Etsy while looking for stuff for Meg's room and have loved her since! I'd love to own a print of hers!!! Amy made me do this, however, pretty sweet blog. If I win these, I will give you my new matchstick jeans. Happy New Year Heather and Family! Always am up for a giveaway! Wow, that is so sweet to do for your travel-bug photo friend! Have a great trip!!! Can't wait to hear about it. I've purposely been lax on my blog reading lately. It was taking over what little sleep time I have. But, these are seriously cute!! I'll have to check out her site. And maybe I'll even win one. Happy new year, Heather!